Augmented reality developers are rapidly bringing science fiction tropes into the real world, with the latest example leveraging the TrueDepth camera on the iPhone X to emulate the cloaking technology made famous by movies like Predator and Marvel's The Avengers. 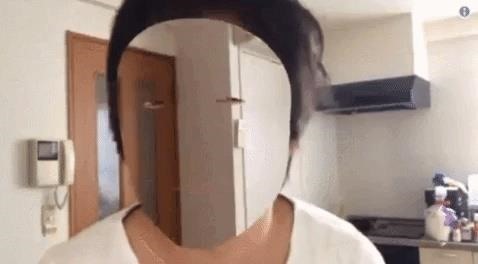 Japanese developer Kazuya Noshiro shared demo footage on Twitter (as discovered by Design Taxi) of his own stealth technology, using the TrueDepth camera's facial recognition capabilities to make his face disappear, with his eyes and mouth floating in the remaining void. According to his tweets, Noshiro developed the app in Unity, using a static image of the background to cloak the user's face. While I typically cringe at using the word creepy to describe technological advancements, even I have to admit that the result is slightly unsettling. In essence, though, the demo is really just a poor man's version of the kind of technology under development for military applications, which in one case uses a special fabric to bend light around an object to achieve invisibility (see video below), a la Harry Potter's invisibility cloak. It's unclear whether Noshiro will publish the app on the App Store via his software company, ViRD. But if you're interested in ViRD's other AR work, the company does have Makebox AR available. The app enables users to build 3D models in AR with pixel blocks reminiscent of Minecraft. To date, actual applications that make use of the TrueDepth camera are far fewer than those that support the ARKit platform, which is logical considering the real-world population of iPhone X vs. the many ARKit-compatible devices. Likewise, experimentation with TrueDepth has not been as feverish as what we saw with the beta of iOS 11 and ARKit. But gradually, the development community is beginning to show off what's possible in augmented reality with the TrueDepth camera beyond FaceID, Clips messages, and Animojis.